A Hungarian Rhapsody presents an intimate portrait of two real lives. 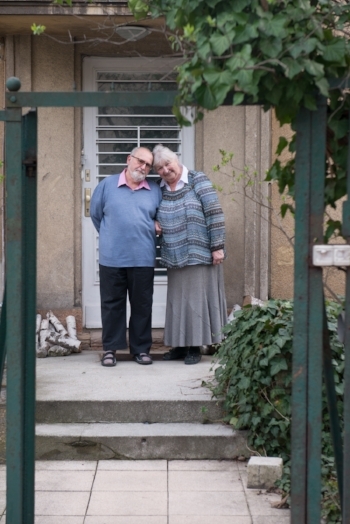 Through an interweaving of pictures, texts and spoken word, the story of György and Ágnes Lengyel is one of rich cultural lives forever peeping under and over the Iron Curtain that Communist Hungary placed around its citizens. This love story starts in 1960s Budapest in Hungary’s only foreign-language bookshop when the young theatre director George first saw the linguistically-gifted Ági. These two lives sparkle with curiosity, enquiry and integrity in a political context when such values could be damaging. But from that first moment in the bookshop, via the number 5 bus stop on Wesselényi utca to present-day politicized Hungary, love will not be confined behind a curtain.